A group of girls in Florida have started a campaign to make girls conscious of their reproductive movement by hanging teal ribbons. Out of every 71, 1 is suffering from ovarian cancer, as described by the Ovarian Cancer Alliance of Greater Cincinnati.Ovarian cancer is usually overlooked as ovarian cysts or a bowel syndrome because there is still no tool for detecting it. 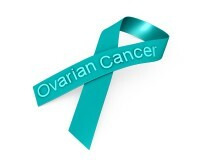 Ovarian cancer is a type of cancer that develops from different types of cells within the ovary, resulting in abnormal production of estrogen hormone. See a gynecologist as soon as possible if suffering from these symptoms.